Thought I would share a few shots of whats currently on the STN NAT bench. *Presets calibrated for 0VU @ -20, -18, & -10 DBFS studios. Last edited by rhythminmind on Wed Jun 15, 2011 3:01 am, edited 8 times in total. What is the character of this machine? Nice, when do we expect this? looks good, i am wondering what would stand out for a user of R2R? 2. please include the new trim function so we can easily judge the saturation level. be the 1st! david1103 wrote: looks good, i am wondering what would stand out for a user of R2R? While these are all good suggestions indeed, for me (as a long time user of the R2R) the stand out here is a totally brand new machine. 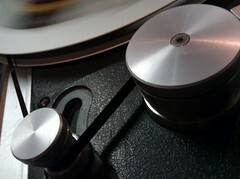 But if it were a brand new machine with multiple sample rates and a nice trim function, even better. Have several of your Nebula release, eagerly awaiting. 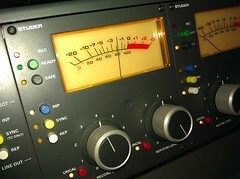 The Studer in the UAD collection is an A800 which is the same 2" machine that is already sampled in the R2R collection. Those are the two you would want to compare. The 810 is a 1/4" machine, different can of worms. Interesting .I was wondering if the compression characteristics of tape can now be captured more accuratly in nebula? ngarjuna wrote: The Studer in the UAD collection is an A800 which is the same 2" machine that is already sampled in the R2R collection. Those are the two you would want to compare. 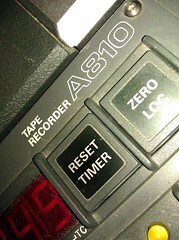 Yes this is a 1/4" master recorder. Originally intended for stereo mixdowns/mastering. Uses more tape area then a the standard 2" 24trk for tracking. ( = higher quality) This is the equivalent of a 2" 16 track. As you know Nebula give us the ability to easily do the impractical, like having as many 1/4" tracks as desired. 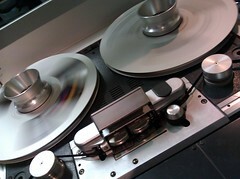 The fun thing about tape is that all machines sound different based on setup & tape formula. I have a few other decks to capture as well. *STUDER A807 Mk II, 4 Channel 1/2"
Better yet, It's the studio racked "Nagra T-Audio"
now I'm jealous... any idea when you will sample it?